The dogs you see throughout these pages were fortunate enough to find loving homes through the efforts of Tidewater Bichon Frise Rescue. Those efforts were made possible by the generosity of loving and caring people. The spays and neuters, vaccines, tests, x-rays, surgeries, food, treats, vitamins, toys, beds and grooming were paid for through donations. 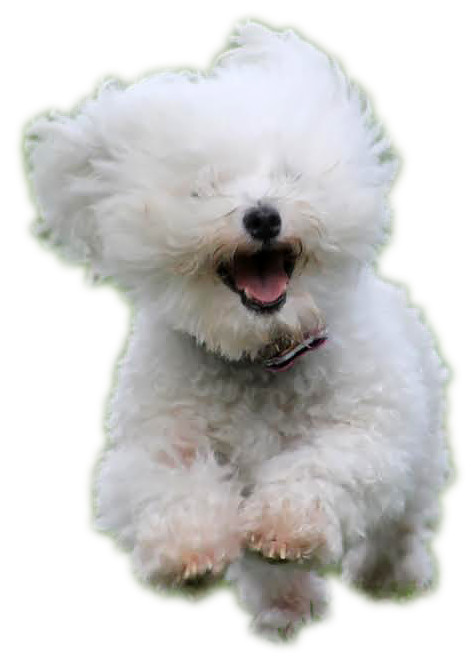 We still have Bichons here in residence who need homes. We also have permanent residents who will live out their lives at White Dog Cottage due to their age, medical issues or temperament. Their need is on-going. The following have made contributions in support of Tidewater Bichon Frise Rescue. We thank them for this support which will help see us through another successful year. We couldn't do it without you! In memory of sweet Hope. In memory of our friend and neighbor, Richard Slate. In memory of our special girl: Jolie. In memory of our loving Bichon, Naiya. for all that he has done to make my life easier. In memory of my wonderful Harry!